Dogs respond better to short names of two or three syllables - two is best. Make sure it's a name that you can pronounce and it can't be easily confused with other words, especially common obedience commands such as 'Sit' Or 'Down'. Rottweiler puppies are about the cutest things on four legs, they're like little black bears. But don't choose too 'cutesy' a name for your cutie. Remember that tiny pup will likely weigh anywhere between 80 and 120 lbs in a few short years, and 'Fifi' or 'Peanut' may just sound plain silly then! It's also a good idea to bear in mind that not everyone understands the Rottweiler, or feels the way you do about this breed. 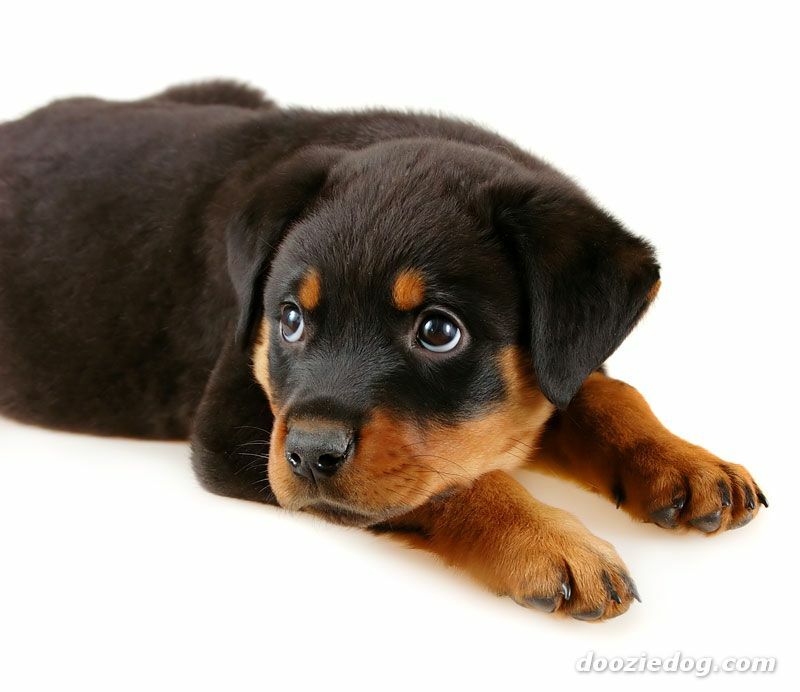 If you call your Rottie pup 'Fang' or 'Killer' you may be helping to reinforce the stereotype, not to mention frighten the neighbors. My male Rottie's name is Cash Jones. My male Rottie is named Damocles!!!! Our female Rottie's name is Supernova, but we just call her Nova. My male Rottie's name is Thor. My best friends names, Jericho and Apollo. My female Rottie's name is Coco Bear, I'm in the process of adopting a male named Teddy Bear. Get mine in 26 days, and his name will be Dave. MY MALE ROTTIES ARE HAZARD, NICKADEMAS, MAXIMILLIAN, AND DEACON. ALL LAST NAMES ARE "VON DIXIE"
I have 3; Rocky, Rambo, and Tyson. Dutchess was my first, Kira is my current one. My baby girl was named Mystical Aria. We called her Myst. Has been gone over a year now. Now in search of my new rottie best friend to rescue. Our male Rottie is called Riley. My rottie name is Hercules. My little baby girl is called Charlie... I'm a new rottie mother.. I'm excited with my baby.. She is adorable. She is 3 months old already...!! Name my rottie is Laika. My female Rottweiler's Name Xena; she's smart, protective, easy to train and socialized at 12 weeks extremely protective of our home and family. that the name suits a dog like him. I called my rottie as "Tyson".